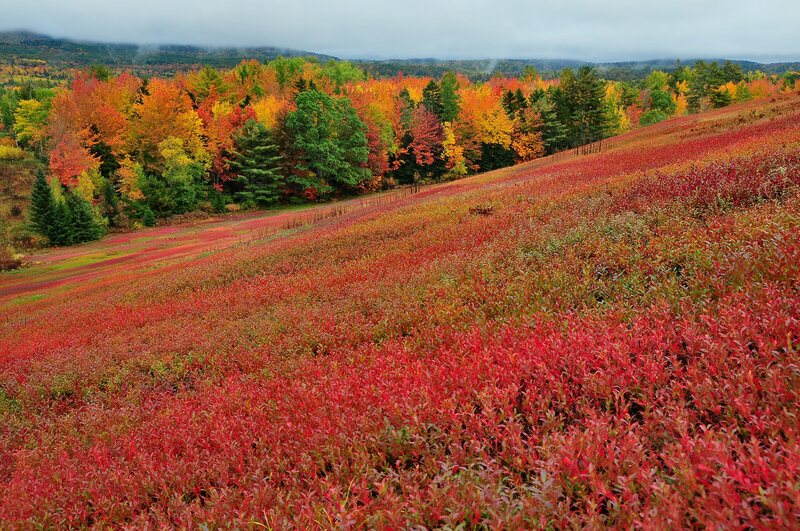 Photo above: The Washington County Thriving in Place Initiative invites you to a free seminar with Q & A on the topic of Fraud Prevention on October 30th from 12 to 3 pm at the Kay Parker Building in Machias. This will be a panel presentation focusing on ways we and our family members can be susceptible to financial & identity fraud with tips for how to avoid becoming a fraud victim. Welcome Abby! The CCC is very pleased to announce the addition of Abby Frutchey, LADC, CCS, to the CCC team as Substance Use Response Coordinator. Abby joins the CCC with over a decade of experience working in the substance use field in Washington County. In this newly created role she will focus on the development of a recovery and employment program, community training, and technical assistance around needs related to substance use disorders. The CCC is delighted that Abby has joined our small staff. She brings with her skills and values that will support a wide variety of CCC initiatives related to substance use challenges in Washington County. Please reach out to Abby with any questions or requests for information at afrutchey@cccmaine.org. 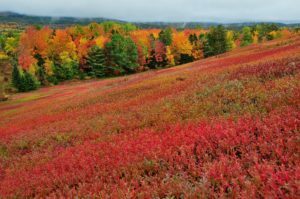 Convergence 2018: The Downeast Convservation Network invites you to share two new tools developed by DCN and partners – “The Value of Conserved Lands in Downeast Maine” economic study and the Biodiversity Resiliency Mapping Program — on Friday, November 2, from 9 am to 3 pm at the Schoodic Institute, Moore Auditorium, Winter Harbor, ME. Presenters, panelists, and attendees will range from local municipal officials, conservation staff, academics and others. Check out the full agenda and register here. MUNICIPAL OFFICIALS ATTEND FREE! STUDENTS ATTEND AT A REDUCED RATE! Questions? Email here. Machias Job Fair: The Machias Career Center is hosting a job fair on Wednesday, November 14th from 11 am – 2 pm at 53 Prescott Drive. No cost for all. For more information, contact is Dodie at 255-1933 or atrica.s.emerson@Maine.gov. CCC Work Group at Career Center: Next week on November 7th, the CCC’s Work Group & Poverty Busters will meet in the large conference room at the Machias Career Center (53 Prescott Drive, behind the DHHS building) for our monthly 1st Wednesday, 1 pm meeting, instead of our usual location at SCEC. We’ll be back at SCEC in December. Let Christine know if you plan to attend. 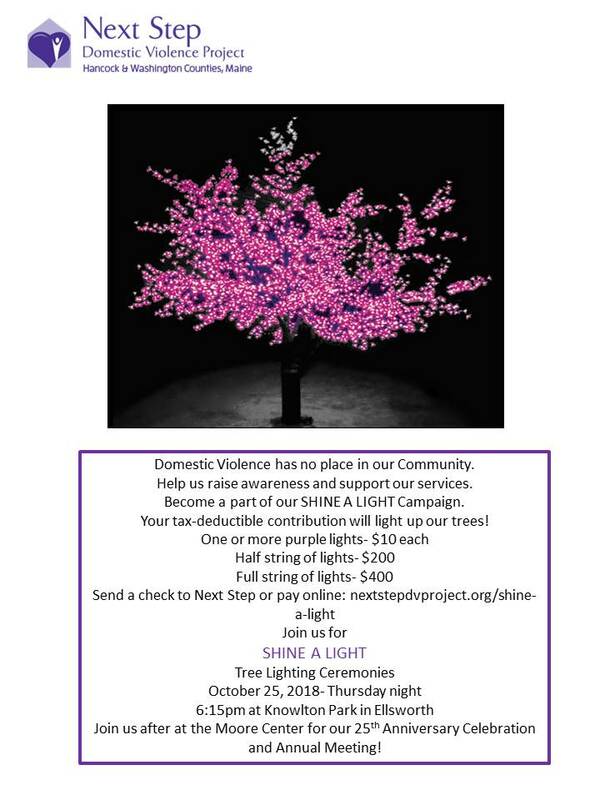 Join Next Step Domestic Violence Project for their SHINE A LIGHT Tree Lighting Ceremony at 6:15 pm at Knowlton Park in Ellsworth. After the ceremony, you are invited to the Moore Center for Next Step’s 25th Anniversary Celebration and Annual Meeting. This event will also include refreshments as well as a panel of past executive directors, survivors, and law enforcement talking about how advocacy has changed over the last 25 years. See flyer for information on how to donate to Shine A light. Down East Hospice Volunteers will be presenting the Hospice Foundation of America’s 25th Annual Living with Grief, Conference Series: “Transforming Loss, Finding Potential for Growth” at Calais Regional Hospital’s Conference Room from 9:00 p.m. to 12:30 p.m. See flyer for details and registration info. The Downeast Public Health Council is hosting a community forum in Ellsworth to ask you to review and discuss the Hancock County Health Profile and together, identify what health issues you think are important for the health of your community. 8:30 – 11:00 am Moore Community Center, Ellsworth. Registrationy coming soon – download flyer. 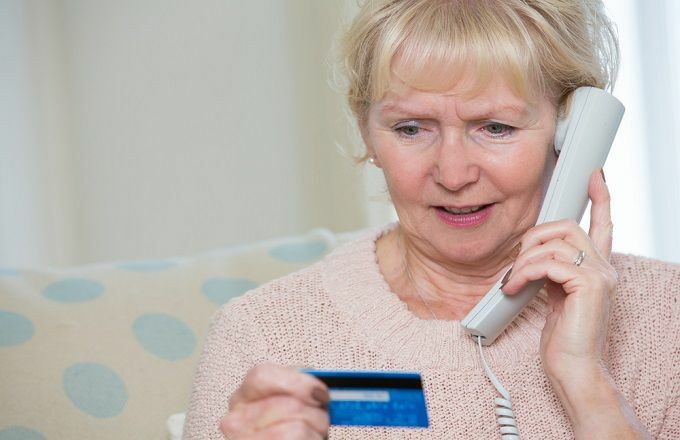 The Washington County Thriving in Place Initiative is offering a free seminar with Q & A on the topic of Fraud Prevention from 12 to 3 pm at the Kay Parker Building in Machias. This will be a panel presentation with Joseph Connors, Financial Coach with the Consumer Financial Protection Bureau; Hilary Fernald, Downeast Senior Safety Net Attorney with Legal Services for the Elderly; and Jeanine Mallar-Heald, Financial Services Officer with Machias Savings Bank, focusing on ways we and our family members can be susceptible to financial & identity fraud, tips for how to avoid becoming a fraud victim, and how to recover stolen assets if necessary. Register here. Download flyer to share with staff, family and friends. This training is a 3-hour workshop for adults to build skills when working with LGTBQ+ Youth. These skills include reducing bullying and stigma, using correct terminology and pronouns as well as general skills of support questioning youth! Contact Hours available. Contact Gabe O’Brien with questions at gabe@healthyacadia.org or call (207) 255-3741. This training is a full day opportunity for clinicians to build their skills when working with LGTBQ+ Youth. This training also focuses on navigating how to engage the parents of youth and the ethical challenges associated with this. 7 Contact Hours available. Contact Gabe O’Brien with questions at gabe@healthyacadia.org or call (207) 255-3741. The G.E.A.R. Parent Network invites you to their 8th Annual Summit on Collaborative and Proactive Solutions, Arms Wide Open, in Portland. This year’s Summit features a full-morning keynote presentation from Julie Causton, PhD, Professor in the Inclusive and Special Education Program in the Department of Teaching and Leadership at Syracuse University, along with breakout groups for parents, educators, and clinicians. The Summit will also feature a screening of excerpts from the soon-to-be-released documentary film from Lives in the Balance, The Kids We Lose. So whether you’re new to the CPS model or an old hand, you’ll find what you’re looking for. Registration and more information here. The Autism Society of Maine is pleased to announce its 2nd Annual Autism Fall Conference in Orono at the Black Bear Inn & Conference Center from 8 – 4:15. 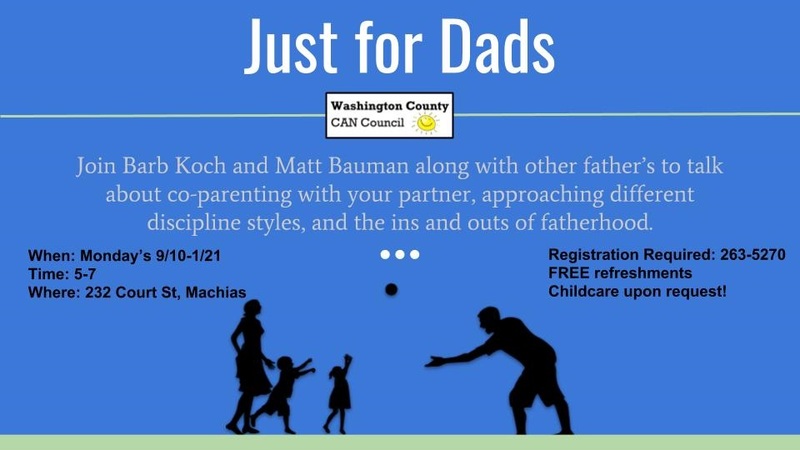 The conference is offered FREE to all interested individuals, parents, caregivers, family members, educators, service providers and support organizations. Vendors and information tables will be available! There is still time to participate as a Sponsor or to have an information table. Click Here for sign-up form! KEYNOTE SPEAKER – Nancy Tarshis, MA, MS, CCC-SLP. As a Social Thinking Trainer and Speaker for Michelle Garcia-Winner’s Social Thinking Methodologies, Nancy helps people with social emotional learning challenges improve how they interpret and respond to social information to better connect with others. See more information about presenters and the topics they will be discussing. Register here. 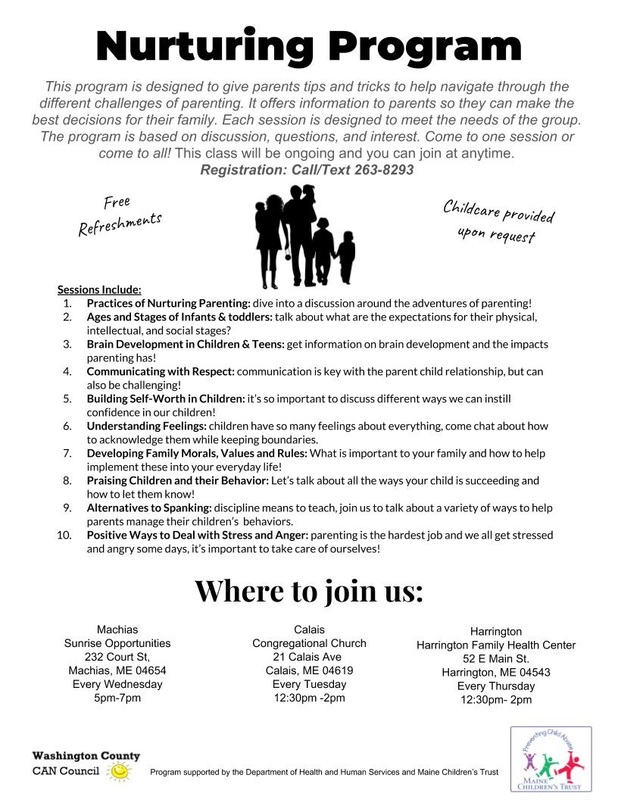 Free workshop presented by Misty Day, Regional Parent Support Coordinator for G.E.A.R. at MAS Community Health, 60 Main St., Machias from 10 am to 12 pm. 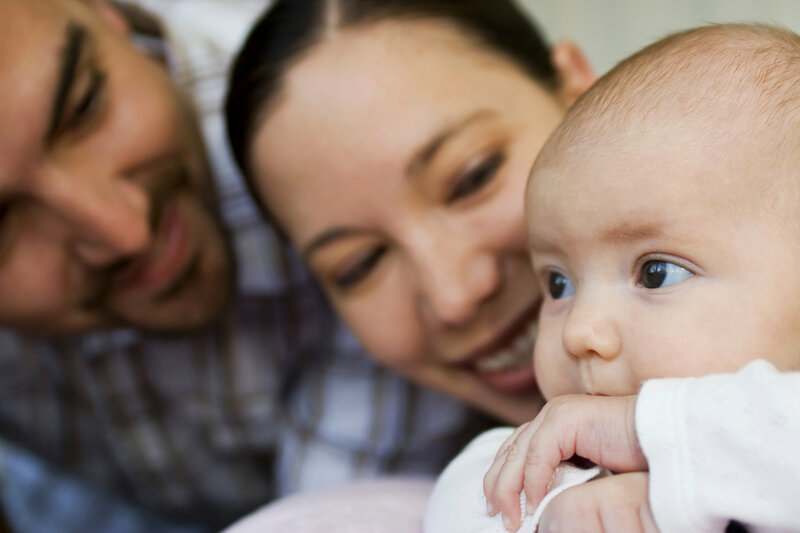 Research shows that a person’s birth order has a direct link with his or her personality. Understanding birth order positions allows parents, guardians and teachers to guide and support children and strengthen positive attributes. To register, please contact Misty Day at 1.800.264.9224 or 485.4253; Email: mday@crisisandcounseling.org. The Machias Career Center is hosting a job fair from 11 am – 2 pm at 53 Prescott Drive. 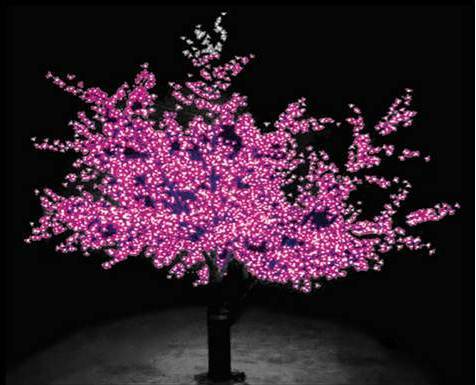 No cost for all. For more information, contact is Dodie at 255-1933 or atrica.s.emerson@Maine.gov. 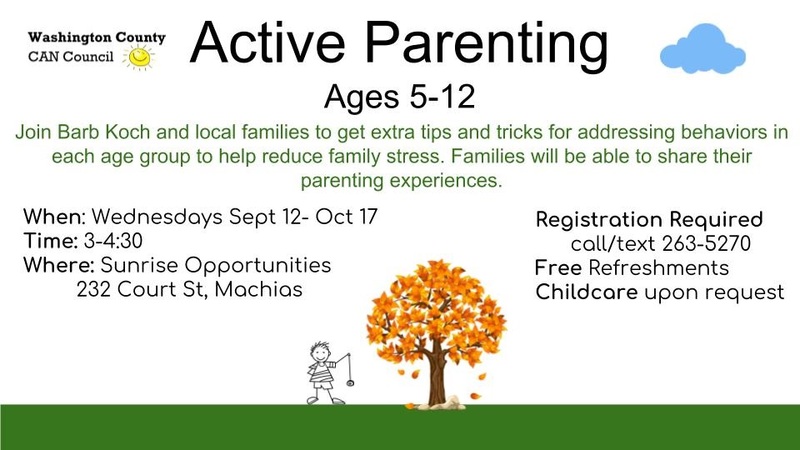 Join Healthy Acadia and WinterKids Program Director Marion Doyle at the Moore Community Center from 6 – 8 pm for this free 2-hour workshop and explore ways to keep kids active throughout the winter months with engaging, kid-friendly outdoor activities. Participants will be provided with a binder for their center or school full of activities to keep kids moving, grooving, and learning through the winter months. See flyer for registration info. 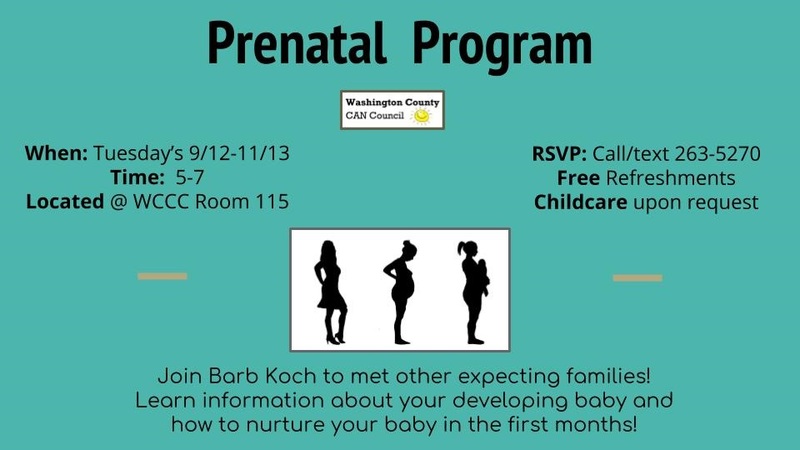 Prenatal Program – Tuesdays from 5-7 pm in Calais, beginning September 12th. Work Group & Poverty Busters: Join this meeting of direct service providers to share resources and network with other providers in your area. Notes from the October 3rd meeting coming soon. The next meeting is November 7th at the Machias Career Center (53 Prescott Drive, behind the DHHS building), large conference room, from 1 — 3:00 pm with another 30 minutes for informal networking and discussion. Contact Christine to join this meeting. FFD Job Posting: Sunrise County Economic Council is seeking a full time Enrollment & Eligibility Assistant for the Family Futures Downeast Program. See the job ad here. Community Education Assistant Needed: University of Maine Cooperative Extension invites applications for a full-time, fiscal-year, soft-money funded, federal Expanded Food and Nutrition Education Program (EFNEP) Community Education Assistant (CEA) CL1. This position will be based in the Washington County Cooperative Extension office in Machias, ME. This position will deliver direct nutrition education to low-income adults with children, and to low-income children in group settings in the Washington County community. Starting pay for this position is $12.69/hr. Visit here for a complete job description and to apply.